If I ever become famous and do one of those "25 Things You Don't Know About Me" with US Weekly magazine, one of my things would be that I got perfect on a city-wide math test in grade 4. If I felt honest, I would then share I went on to almost fail math in grades 10 and 11 and took grade 12 advanced math - twice. Math has an unfortunate stigma attached to it, so I'm happy the Canadian show Monster Math Squad exists. It makes the basics of math fun for Hannah as she starts to learn about numbers and all the fascinating things you can figure out by using them. The Monster Math Squad consists of three monsters - Lily, Max and Goo (he is littlest one who can squish into different shapes - including numbers of course). They are on call to help other monsters in Monstrovia deal with various problems that need solving by using math. 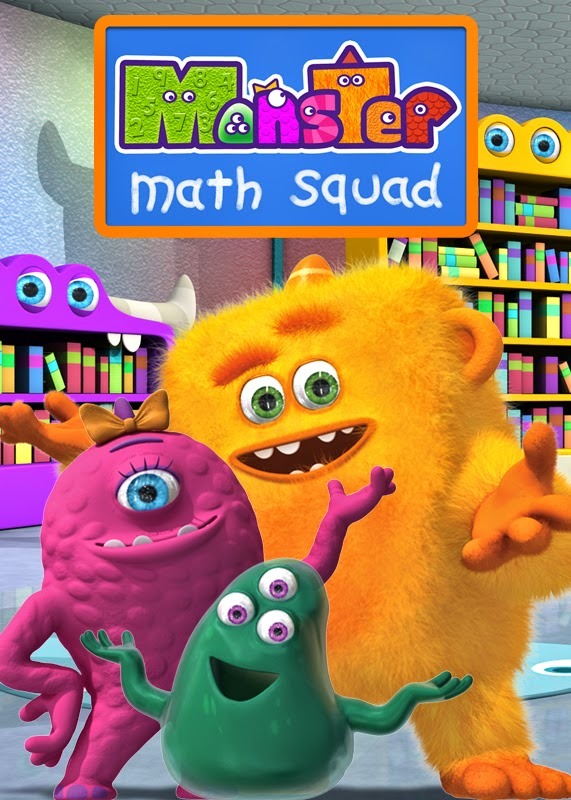 Throughout the 12-minute episodes, the Squad successfully help by completing "Monster Math" including but not limited to counting, measuring, sizing, sorting, exploring shapes, patterns and time. The episodes we watched recently were about words of the day "subtract", "fit" and "backwards". I enjoy watching Monster Math Squad with Hannah. It's a cute, fun show and you can tell she gets satisfaction from the Monster Howl the Squad performs with the viewers to celebrate the completed math, Monster Math! 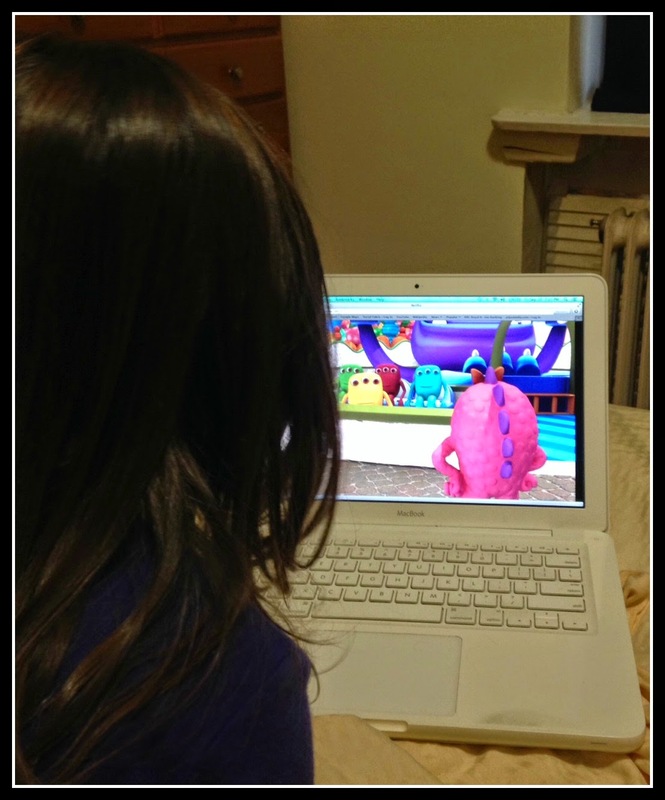 What's your favourite educational show on Netflix?